Videos - Live. Love. Laugh. Food. Quick breads are the best one-bowl treat to make because you simply stir the ingredients together and bake. Zucchini Bread is always a favorite, but this time I decided to make it with whole wheat flour and chocolate chips for a sweet and slightly earthy taste. Here’s a video on how to prepare this Whole Wheat Chocolate Chip Zucchini Bread – Enjoy! Many cultures have a recipe for Barbecue Pork. In American cooking, we tend to prepare pork roasted in the oven, braised in a slow cooker or barbecued on a grill. I enjoy pork prepared a variety of ways, but especially on the grill with a light and tangy barbecue sauce. Apple season is definitely a fun fall tradition and nothing pairs nicer with pork, than apples. For a unique twist, I thought I would grill the apples along side the pork with a quick sear and a brush of sauce. The flavors are mesmerizing together because of the contrasting tastes of juicy pork and warm fruit. This recipe is super simple to prepare and makes an easy weeknight dinner, but also great on the weekends, when you may have a little more time to stop and enjoy the outdoors, while the weather is still gorgeous. 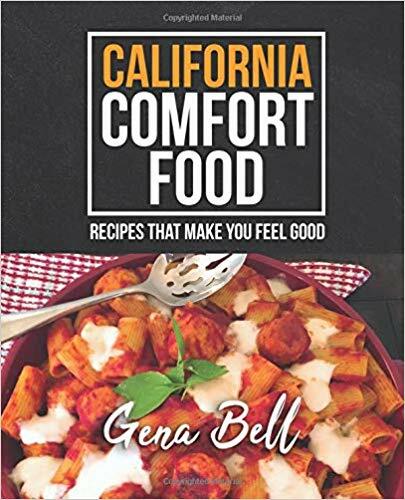 Either way, I think you will love this recipe. I hope the video helps guide you through the cooking process! Mix the dry herb ingredients into a small bowl and sprinkle over the pork loin. Let rest while making the barbecue sauce. In a small saucepan over medium heat, add all the barbecue sauce ingredients. Heat for 4 minutes, while occasionally stirring. Remove from heat. Place pork Tenderloin on the grill and cook for 10 minutes. Flip over and baste with the BBQ sauce and cook for another 10 minutes. Baste with the sauce 2 more times or until the thermometer reads 140 degrees. Grill the apples for 4 minutes, turning once. Baste apples with barbecue sauce. Remove pork and apples from the grill and let rest for 5-7 minutes. 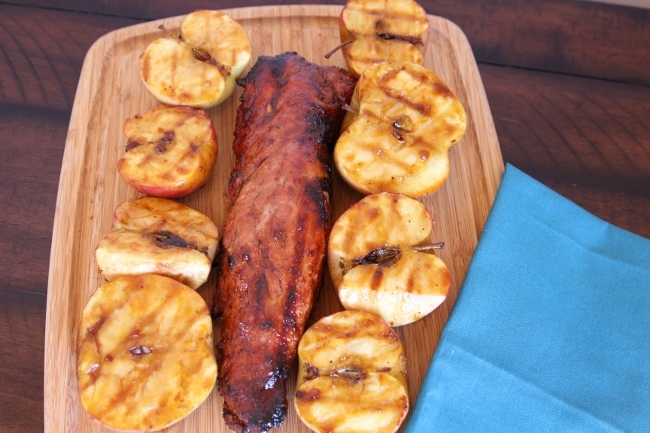 Slice pork and serve with grilled apples. Enjoy! I’m not ready to let summer go just yet, so I thought I would create one last seasonal dessert including strawberries. Strawberries have been super sweet this season and they are still readily available in most markets, so here is a delicious recipe for Strawberry Shortcake. I created a 1 minute video to go with the recipe to make it easier to bake along with me. Click on the Continue Reading Link below to view the video and enjoy your Strawberry Shortcake! 1. Preheat the oven 375 degrees. In a stand mixer, add the flour, sugar, baking powder, baking soda and salt. Mix on low for 30 seconds. 2. Add the diced butter and mix on low for 1 minute. 3. Then, add the heavy cream and mix on low, just until the dough comes together, about 30 seconds. 4. Remove the bowl and dump the dough out. Form into a round disc and cut into wedges, about 8. 5. Place the wedges on a parchment lined baking sheet. 6. Bake for 13-15 minutes or until golden on top. Remove and cool. 7. Hull and slice the strawberries into quarters and place them in a bowl with the sugar and lemon juice. 8. Macerate or slightly mash the berries, until juicy. 9. In a stand mixer, whip cream until frothy and then, add powdered sugar and vanilla. 10. Whip again until soft peaks form, about 1 minute. 11. Assemble shortcakes, by slicing each cake in half and placing a large spoonful of berries and a dollop of whipped cream on one half. Place the other half on top. Enjoy!